1. Owner is ill and cannot look after their cat any more. 3. Owner moves to somewhere where they are unable to have a cat through tenant agreements. 4. Cat has unwanted kittens. 5. Cat is believed to be causing illness. On this page you will be able to look at some of the cats and kittens looking for new homes, we may have more cats than just the ones you'll see on the website, and if you can't find one with a personality to suit, we can always ask the neighbouring branches. 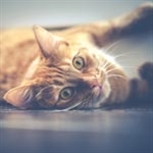 Cats and kittens rehomed by Spalding and District Cats Protection are vet checked, microchipped, at least half way through a course of vaccinations and have 4 weeks free insurance. We also neuter all cats and kittens at an age nominated by our veterinary surgeon. Pre-home visits are carried out before any of our cats are rehomed. As cat care costs are increasing and can exceed more than £150 per cat we do ask for a fee of £50 for kittens and £40 for adults. However, if you do decide to donate anything above the fee this would be gratefully recieved and would allow us to claim the GiftAid back.